Ornaments are a brand new modifier in Rise of Iron that completely change the look of your weapons and armour by adding luxurious flair. Given their high value and rarity, players will have to engage in the games hardest activities to earn the best Ornaments. Each Ornament expresses a particular style modification. 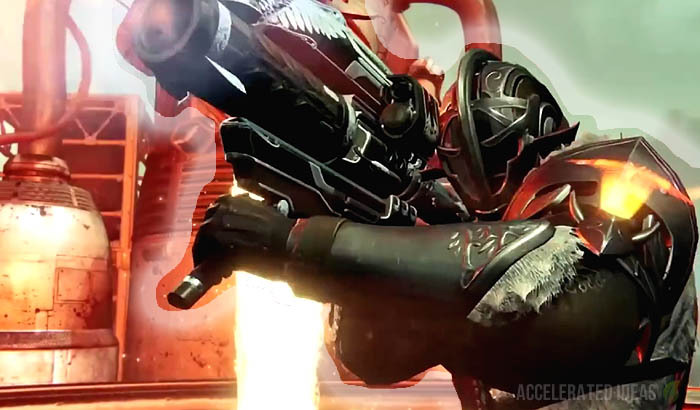 For example there are SIVA ornaments that change the visual appearance of a piece of gear to match the expansions mysterious SIVA theme. Other ornaments will dramatically alter your gear to match the Iron Lords themselves e.g fur-lining and horns. These changes are different to simple shaders or colour changes; they are true modifications that behave more like cosmetic modifications. Although Ornaments do provide a slight boost to character stats their real value lies in the ability to show off your prized modification to your Fire Team or the opposing PvP team in the Crucible. Players will be pleased to know that existing Year 2 items can be modified in exactly the same way as the new Year 3 items including regular and exotic items alike. Just look out for the final column of the items perk tree which is now reserved to apply Ornaments. Ornament modifiers are applied on a per item basis: weapon or armour piece. Each gear piece has a certain number of Ornament slots which can be filled one by one, then later replaced or removed should you wish to change the modification. Make sure you have collected at least one Ornament then open up the weapon or armour piece you want to modify. Inspect the perk tree and take note of the new right hand column which displays individual "slots" for Ornaments to be applied. If you look at the image above you'll see the two slots that have been highlighted in red - these are your Ornament slots. 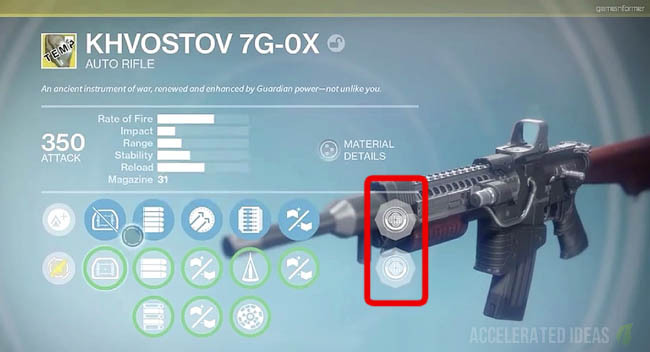 Simply hover over an unused slot and select it to apply one of your inventory Ornaments. Existing Ornaments can be removed in a similar manner. The complete list of all ornaments and how to obtain each of them is currently unknown but we do have some details (see below). I will update this section with new findings soon.